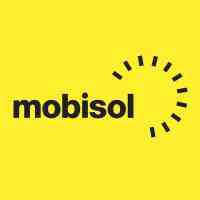 ABOUT US: Mobisol Group is a leading global player in decentralised solar electrification. Driven by market demand for off-grid solutions beyond lighting, Mobisol designs, distributes and services large solar systems, seamlessly integrated with proprietary pay-as-you-go (PAYG) software. By combining the latest high-tech solar hardware with mobile payment technologies, the Berlin-based company ensures affordability through flexible payment plans. Mobisol enables rural families and businesses to power a wide range of compatible appliances, such as televisions and stereos, thereby improving people’s standard of living and enabling incremental income from new solar-powered businesses. With over 600 employees, Mobisol runs its own operations in Tanzania, Kenya, and Rwanda, while providing hardware and software solutions through a growing network of B2B partnerships in another nine countries worldwide. The Area Manager leads and manages a team of Sales Agents, Mobishop Operators, Loan Field Officers, Installation Technician, Dual Contractors and their customers – responsible for the full customer cycle i.e. Sale, Fulfill, Maintain, Collect and Recover. Support recruitment of new Installation and maintenance technicians in the sales Area. Review Control monthly commission payments and payroll, follow up on faulty installations and inform Finance Department about deductions. Responsible for disciplinary for installations and maintenance technicians. Educating Sales Agents, Dual Contractors, Loan Field Officers, Installation Technicians, Maintenance Technicians and Mobishop Operators in applicable policies, guidelines, processes and procedures. Organizing and facilitating regular team meetings according to guidelines provided by Zonal Sales Manager and Credit departmental standards. Diploma or degree in Business Administration, Sales &Marketing or any other related field. At least 2 years of relevant working experience in sales and a good track record of performance. Working in Mobisol will give you a chance to drive your performance and challenge yourself to be the best. Mobisol being one of International Companies in Tanzania, it has a cultural diversity and vibrant young talent to spear head your professional growth and career. Mobisol Best value one among st many companies is influencing team work rather than individualism to achieve its goals and yours. This opportunity can help you experience this and more. Make sure that your line supervisors signs your Motivational Letter in agreement to your application.